United Ramen are popping up at The Hope pub in Fitzrovia (off Tottenham Court Road) for Saturday night and a Sunday lunch, each with a twist. 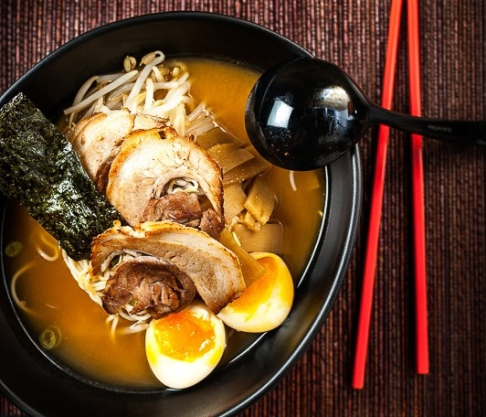 Saturday night is 'Ramen Knows Japan' which is all about traditional ramen, and 'Ramen Meets China' on Sunday lunchtime, which focusses on the Chinese influence on Ramen. Both sound great! "The folks at United Ramen believe that Japan has some of the best cuisine in the world and that Ramen is its soul food. In fact, they think a bowl of hot, steamy Ramen is so good that it should be celebrated here as much as it is in Japan, where there are over 35,000 Ramen shops - that’s 1 for every 3,700 people in the country! United Ramen began as an ode to great Ramen in Japan. However as a multi-cultural team they felt it would be wrong to try and imitate an authentic Ramen-ya; instead they’ll be celebrating the cultural influences and history that led to the development of modern Ramen. They believe that Ramen is a natural platform for cultural mash-ups. Here at Grub Club, we dig what the folks at United Ramen are up to, which is why we will be working with them to help throw you two brilliant events that will warm you up with Ramen this winter. This January United Ramen will show you what happens when Ramen collaborates with its native country (Japan) on Saturday, as well as it’s neighbor (China) on Sunday. Pick your favorite!"